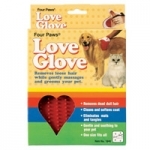 Four Paws Love Glove conveniently fits any size hand and easily fastens with a Velcro strap. Removes dead unwanted hair while gently massaging the pet. 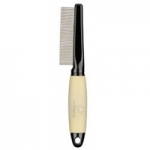 Dead hair easily peels off the Love Glove's soft rubber tips. Also great for removing hair from furniture and carpet. 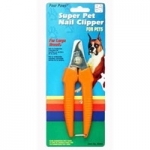 Four Paws Super Pet Nail Clipper for Large Breeds gives you a positive cutting action with a safety bar to help you prevent over cutting your Dogs' nails which may cause some bleeding.